This before shot doesn't show how convoluted the entry to the kitchen from the outside was but there were walls hindering the entrance which made everything darker. 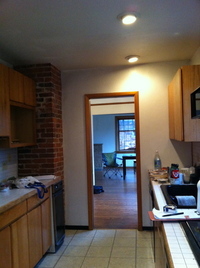 We opened it up and used the space for the whole kitchen instead of just a side entry to the kitchen. 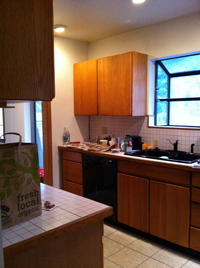 What a difference opening this kitchen up makes to the overall space of the house. The clients love how it turned out. 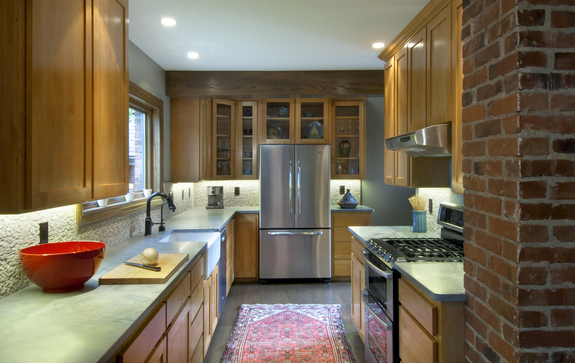 We used an amazing granite called Novulato honed with a micro mosaic natural stone brick pattern backsplash for texture and to coordinate with the exposed brick. 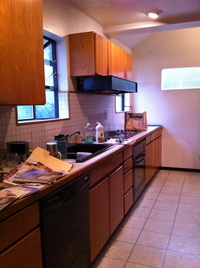 This Before shot shows the closed off galley kitchen remodeled in the 1980s. 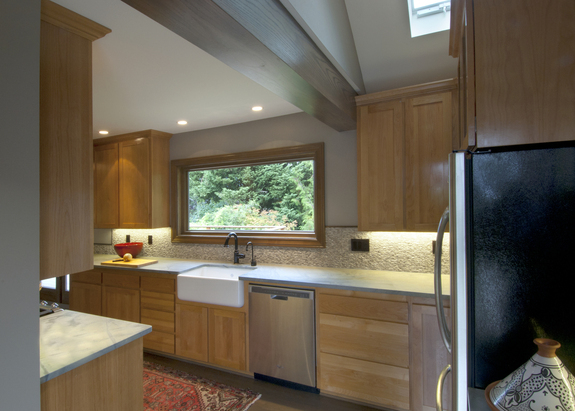 Here you can see how it lightened the kitchen up and the exposed beam creates interest and shows off the beauty of wood. We also made the window larger and took out the planter box window. 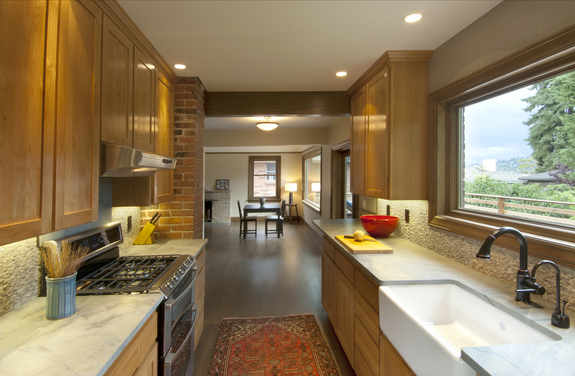 The Client objective here was to remodel the house before moving in after purchasing this 1929 Tudor Style home. There had been some strange upgrades over the years which made this remodel a fun challenge. We went with texture and natural woods as much as we could as well as utilizing the exposed brick that was original to the house.